I’ve been a work at home mum and self-employed since 2012, around about when I started this blog. I’m quite surprised that I’ve lasted this long as a work from home mum actually; it hasn’t been easy. 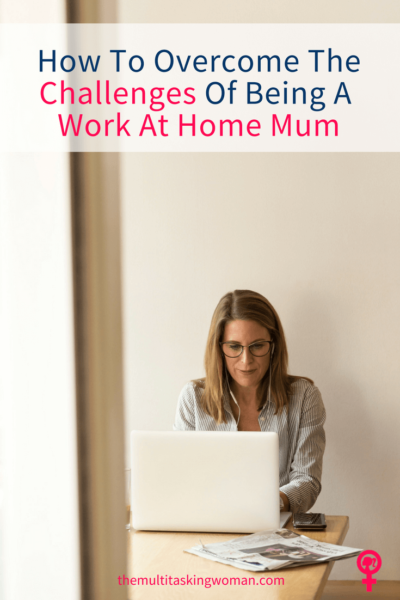 I’ve experienced different variations of being a work at home mum. I’ve worked with a baby and toddler in the house when I first started working from home and now as both children are older, I work from home while my kids are at daycare and school, sometimes when my toddler has her days with me. Even with the kids out of the house, parenting still does have a huge impact on my work. The thing I’ve noticed about working from home is the whole idea of you being more ‘available’. When you’re the parent that works from home, it’s you that has to do the things that are usually shared if you were to work, say, in an office. If you’re considering working from home while juggling kids, here are a few things to think about. Can you handle it? It’s pretty much a given that if you are a work from home mum that you’ll be the parent to look after the kids while they’re sick, even if you do have a business to run. If you’re self-employed, the reality is that none of your work will get done and you won’t get paid for the time missed. There’s no sick days and likely no one else to cover your work. You’ll find yourself trying desperately to catch up when you can to ensure you don’t miss deadlines. I forget the number of times I felt resentment towards Mr G because he could happily leave the house at 7 am in the morning to go to work while I had to work too, but with a sick child. Back when Master E was sick all the time was one of the hardest parts of running my own business from home. When you work from home, particularly in your own business, be prepared to play lots of catch up when things like this happen. When you’re managing a business from home at the same time as looking after children, it can be hard to say no. You want to take on new jobs because it means more money but you also want to say yes to taking your kids to the park or playing with them in the yard, even when you’ve still got deadlines to meet. Finding the balance is difficult, and you will naturally find yourself saying yes to everything to keep everyone happy, but then trying to fit it all in. We all know what this leads to, overwhelm, and it’s not healthy. Working in your own business from home requires setting clear goals for your business and family life, setting boundaries and being very strict with your time. It also means being creative with where you work. Indoor play centres in Brisbane that have free WiFi and coffee are often my ‘go-to’ place if I need to work and I’ve got kids in tow. Yes, all workplaces have distractions, but not young children who crave attention, are hungry, thirsty, making noise or trying to climb something they shouldn’t be. Having to stop what you’re doing to attend to these distractions can end up being counterproductive and also very hard to ignore. When deciding to work from home, it’s best to reduce distractions as much as you can. Perhaps it might be best to work while the children sleep during the day or at night? But then that takes me to the next issue you’ll likely face – will you be able to function at your best if you have to work at night or early morning? I know that I do my best work first thing in the morning, but some people are the opposite and do their best work late at night. Because I function best in the morning, this is when I do all my paid writing work, and at night I will do things like my invoicing, scheduling social media or answering emails. Consider what works for you and see how this fits in with your children’s nap time and do your best to work around it. It might mean waking up extra early in the morning before your kids or having your partner look after the kids at night. When you’re a work from home mum your work is always there, calling your name. It can be hard to stop thinking about work when it’s your day off, too. You can find yourself off with the fairies, thinking about work or finding yourself jumping on your computer for ‘just five minutes’ which turns into 50 minutes. Getting caught in this trap means that your time is not 100% focused on your family or personal life. The same goes for if you find yourself doing family and personal things while you should be working. This is why the lucrative balance is so important to make working from home as rewarding as it should be. There’s no lying; you need to be strict with yourself to achieve this. Try setting yourself work hours, just like you would have if you worked elsewhere. Tell your clients, your friends and your family what your work hours are. Put a note on the fridge to remind your partner. If your partner is looking after the kids while you work at night, close the door and put a sign up that says ‘do not disturb.’ And when it’s not your ‘work hours’ you simply don’t work. Easy as that. That’s time you have to spend with your family and doing the things you need to do. And don’t be afraid to say no to people who want to do things with you like a visit or arrange coffee dates during your work hours. It’s easy to get caught in that trap when working from home and then you find yourself stressed because you’re having to catch up while a baby is crawling over you. Working from home on your own, albeit in the presence of a child, can feel isolating. It’s likely you’ll get sick of ‘goos and gaas’ or toddler talk, you’ll long for a normal adult conversation. I remember a stage where I liked answering the phone, even if it was a telemarketer, just because it was someone to talk to! If you need this type of adult contact, arrange to attend networking events or business mum meetups where you can take your kids. If you can’t get to meetups, try joining some Facebook groups in your niche and get chatting. It’s better than nothing! So, do you think you can make it work? Sure you can! Being a work at home mum just takes discipline, trial and error and a passion for what you do. If you feel you need a little bit more guidance on how to stay productive, I’ve also written How to be productive when you work from home and 5 productive things to do as soon as you sit at your desk. If you’d love to be a work at home mum but haven’t found the right opportunity yet, check out my article 5 ways to start a home based business with no money. Find more articles in Mumlife Lifestyle and Career.